The 2010 FIFA World Cup will be the 19th FIFA World Cup, the premier international football tournament. It is scheduled to take place between 11 June and 11 July 2010 in South Africa. 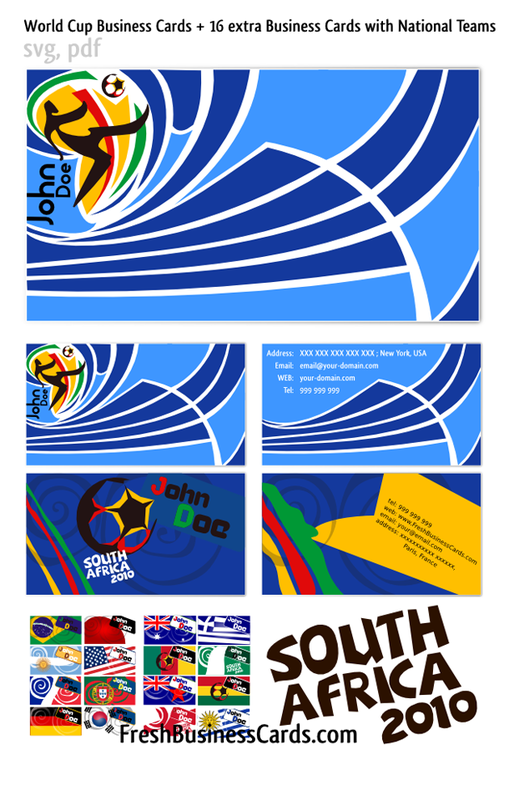 So I create set of vector business cards, especially for World Cup fans. Business Cards are in vector format, that means they are fully editable. Cool business cards for any football fan. Enjoy !! !